KYIV. April 24 (Interfax-Ukraine) – Ukraine has great potential of entering the European genetically modified-free soybean market, demand on which is stably growing in the EU, President of Donau Soja Matthias Krön said at a press conference held at Interfax-Ukraine. 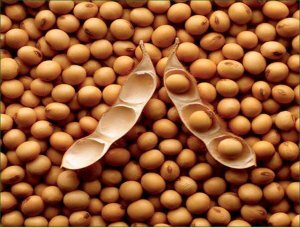 He said that the EU countries import around 32 million tonnes of soybeans every year, mainly from the United States, Brazil and Argentina, which is used to feed animals. Only 5 million tonnes of soybeans are GM-free soybeans. European consumers set stricter requirements for animal products, especially on the quality of fodder. “Today Europe imports 5 million tonnes of GM-free soybeans. A small share of it arrives from Ukraine. My vision is that in the future Ukraine could provide for 30-50% of these soybeans. Of course, there are many challenges. The issues with transportation and possibilities of processing soybeans should be settled. Of course, this will not happen today, but in next five or six years,” he said, adding that at present Ukraine is a large soybean producer in Europe. Business Development Director in Ukraine at Probstdorfer Saatzucht Ges.mbH & CoKG, a member of Donau Soja, Felix Gohn, said that over the past several years Ukraine has increased the number of soybean fields from 1.4 million hectares to 2 million hectares and the country should define in what market segment it should develop. He said that the premium segment with higher added value holds prospects. Svarog West Group Board Chairman Andriy Hordiychuk said that GM-free soybeans could cost $20-120 per tonne more on the global market than GM soybeans. The share of GM-free soybean production in Ukraine is 30 to 70%, according to various data, despite the fact that Ukrainian law bans the planting of GM soybeans. Hordiychuk said that Svarog West Group recently entered Donau Soja and plans to promote its products to the European market. “In 2015 we start a project with Donau Soja on the certification of our fields – these are around 10,000 hectares of soybeans which will be in line with additional quality requirements. These are procedures of additional control of production process,” he said. KYIV. April 24 (Interfax-Ukraine) – ArcelorMittal Kryvyi Rih (Dnipropetrovsk region) has confirmed its plans to invest $1.2 billion in the company’s development in 2014-2019. ArcelorMittal Kryvyi Rih CEO Paramjit Kahlon said at a press conference held at Interfax-Ukraine in Kyiv said that at present the company focuses on quickly-realized projects allowing it to cut the cash cost of metal products. “The top-priority projects for us are those projects which could be realized quickly and should influence the cash cost of products, the measures that we could take to cut dependability on natural gas and expensive coke,” he said. He said that plans on large investment projects have been retained. “As for investment projects, we plan to build at least three continuous steel slab casting plants,” he said. Kahlon said that the company pays special attention to reducing natural gas consumption, and that a PCI (pulverized coal injection) plant is currently being built. “As for PCI – in December 2015 we plan to finish the building of the first PCI plant at the largest blast furnace nine. 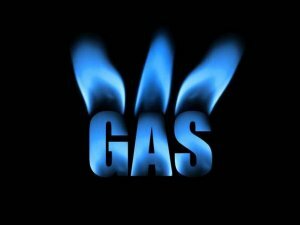 In general, after the launch of the whole PCI complex natural gas consumption will fall by 60-65% – from the current daily volume of 2 million cubic meters to 500,000 cubic meters in the future. This will allow for increasing competitiveness,” Kahlon said. He said that there is a lack of skilled contractors and specialists in Ukraine, which could affect the terms of commissioning of the plants. Kahlon said that the company is permanently investing in the upgrade of production facilities and it is a socially responsible company. “We took responsibility of providing stability of work of our employees. We would like it [to be so] that they do not have the prospect of losing [their] jobs. We’re a responsible business which continues investing in Ukraine,” he said. KYIV. April 22 (Interfax-Ukraine) – The Kyiv Investment Agency (KIA) is currently working on 70 investment projects worth $1 billion, KIA’s First Deputy Director General Vitaliy Boiko had said. “In total, it’s about $1 billion. 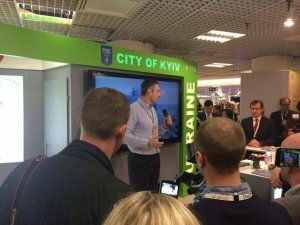 Until now, we have unfortunately managed to realize only UAH 1 billion,” he told reporters at the presentation of a KIA project in Kyiv on Wednesday. According to Boiko, there are about 70 investment projects in total that are being prepared, and 10 of them will be demonstrated to investors. “The key direction of the projects is re-development, i.e. revamping those municipally owned plots that are nowadays used inefficiently,” he explained. He said that the investment projects also include the use of industrial sites of Kyiv-based enterprises that are standing idle. KYIV. April 23 (Interfax-Ukraine) – Ukraine exported 69,000 tonnes of milk and dairy foods in January through March 2015, with an annual export potential projected at 300,000 tonnes, the interagency ad hoc group under the Ukrainian Economic Development and Trade Ministry has said. In particular, 47,000 tonnes of milk and diary products were supplied to the Crimea free economic zone, while annual supplies are projected at 240,000 tonnes, the group said. Milk and dairy foods production in Ukraine in the first quarter of 2015 amounted to 2.04 million tonnes with annual production estimated at 11.34 million tonnes. Milk and dairy imports in the first three months stood at 20,000 tonnes, annual imports have been forecasted at 200,000 tonnes. Meat exports from Ukraine in the three months totaled 44,000 tonnes with the annual forecast being 260,000 tonnes. In particular, Ukraine exported 7,000 tonnes of beef, 6,000 tonnes of pork, and 30,000 tonnes of poultry. Supplies to the Crimea free economic zone in the first quarter of 2015 are estimated at 14,000 tonnes with an annual forecast of 50,000 tonnes. 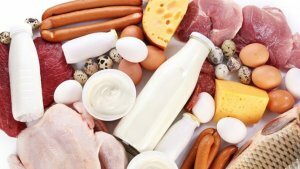 During the period under review, Ukraine produced 569,000 tonnes of meat, including 59,000 tonnes of beef, 224,000 tonnes of pork, and 284,000 tonnes of poultry. The ministry predicts that in 2015 Ukraine’s meat output will be 2.44 million tonnes, including 410,000 tonnes of beef, 775,000 tonnes of pork, and 1.215 million tonnes of poultry. From January through March Ukraine imported 31,000 tonnes of meat with an annual forecast of 169,000 tonnes. HOUSTON. April 23 (Interfax-Ukraine) – Ukraine is looking for an international operator for a project to produce gas in the country, Ukrainian Energy and Coal Minister Volodymyr Demchyshyn said at the IHS CERAWeek conference in Houston. He said the country has 1 trillion cubic meters of undeveloped gas reserves. “This gas could be sold to Europeans,” the minister said. With the implementation of energy efficiency projects in Russia and Ukraine, Russia will supply more gas to Europe in three to five years, which will have an impact on prices, he said. “The government of Ukraine has decided to find an international operator in order to leverage this important asset,” Demchyshyn said, adding that an international consortium is an option. He also said that Ukraine’s gas transport network is currently underutilized, so it would make more sense to involve the existing capacity to ship gas to Europe than to build new pipelines. “We have 38 individual routes. We’ve already talked about the need to transport gas not only from Russia, but also from the north, from Norway. It’s doable for the Ukrainian system,” Demchyshyn said. “We can redistribute this gas and ship it on to Romania, Turkey and potentially to Greece,” Demchyshyn said. He said that Ukraine currently buys more than 50% of gas in Europe, enabling it to lower the price to $240 per 1,000 cubic meters. KYIV. 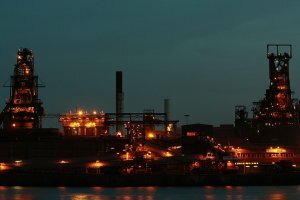 April 23 (Interfax-Ukraine) – ArcelorMittal Kryvyi Rih (Dnipropetrovsk region) has almost fully stopped shipping metal products to Russia and it is looking for new markets, ArcelorMittal Kryvyi Rih CEO Paramjit Kahlon said at a press conference held at Interfax-Ukraine in Kyiv. He said that since December 2014, the Russian market has almost closed for the company. “In Q3 2014 our supplies totaled 55,000-60,000 tonnes a month, then they fell to 35,000-40,000 tonnes and now we almost do not sell [in Russia],” he said. He said that the key markets for the company are the Middle East and North Africa, including Lebanon, Israel, Syria and others. “We have to look for new markets for our products to find new consumers and we conduct market studies to find sales markets. In 2014, a first test batch of our roll was sent to Saudi Arabia,” he said. Kahlon said that the company has to compete with Chinese and Russian producers on foreign markets. Russian enterprise boosted exports sharply after the large devaluation of the Russian ruble. 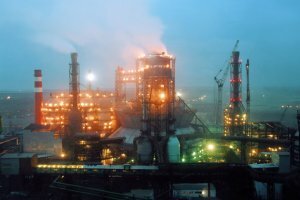 The cash cost of ArcelorMittal Kryvyi Rih’s products grew due to the worsening or halt of supplies of Ukrainian raw materials from the anti-terrorist operation (ATO) zone and the necessity of replacing it with imported products. “We’re looking for internal reserves to increase our efficiency, opportunities of cutting the production cost to remain competitive and not to cut production,” Kahlon, adding that in 2014 the company sold 86% of its products on foreign markets and only 14% on the domestic market.